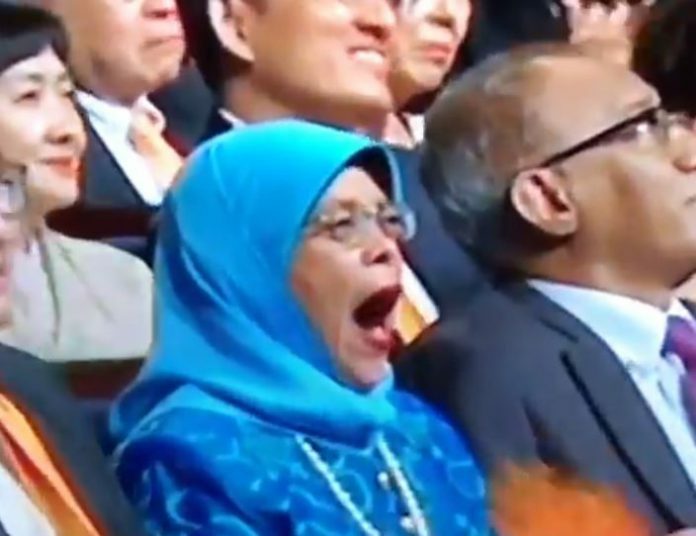 Singapore President Halimah Yacob was caught by Mediacorp cameras yawning without making any attempt to conceal her yawn during a performance at the President’s Challenge 2018. This year’s event was President Halimah’s inaugural Challenge, since she became head of state on 14 September last year. The President’s challenge is the head of state’s annual call to the nation to contribute to the less-fortunate in society. Launched by former President S R Nathan 18 years ago, in 2000, the charity campaign has become a yearly tradition that the Presidents that have come after him – ex-President Tony Tan and now, President Halimah – have kept. 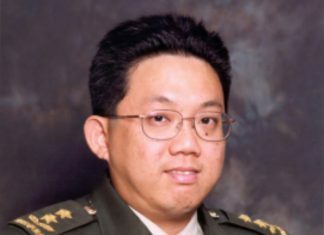 This year’s Challenge reportedly helped to raise $7.6 million that will go towards aiding the less-fortunate in Singapore.